Thanks to 3Dvarius, a 3D-printed violin, as pictured above from designboom.com, exists and its innovation sounds wonderful! In collaboration with musical artist and violinist Laurent Bernadac, the French company known as 3Dvarius has designed a fully-playable electric violin. Though that alone sounds extremely innovative, the creativity doesn’t stop there. In fact, this electric violin was actually created with the most advanced 3D-printing technology and based on the traditional Stradivarius, which is one of the cellos, violas, violins and other stringed instruments that was built by members of the Stradivari family, namely Antonio Stradivari, during the 17th and 18th centuries. Now that that short history lesson is over, let’s get back to how this 3D-printed violin was made. First, it was printed as a single piece. The process combines the precision of computer renderings and the extremely intricate skill of violin making. Both of these talents were paired with Laurent Bernadac’s experience with violins and his knowledge of what exactly was needed in order to create a great violin. The 3D-printed violin that 3Dvarius created was made to be lightweight and take into account all of the movements a violinist makes. Throughout the research process, the acoustic and wave propagation through the body of the violin were studied, as well as the right mechanical resistance for the pressure of the strings. To carry out this research, 3Dvarius used sterolithography, which is a technology that creates models layer by layer by curing photo reactive resin with an ultraviolet laser. Once this is complete, hand sanding takes place. This step is then followed by cleaning and polymerization that removes any excess resin and protects the internal makings of the violin. Next is perhaps the most delicate step – the stringing of the violin. It’s during this step that the structure of the violin is introduced to actual string pressure. Here’s an actual video of the making of the 3D-printed violin from 3Dvarius! 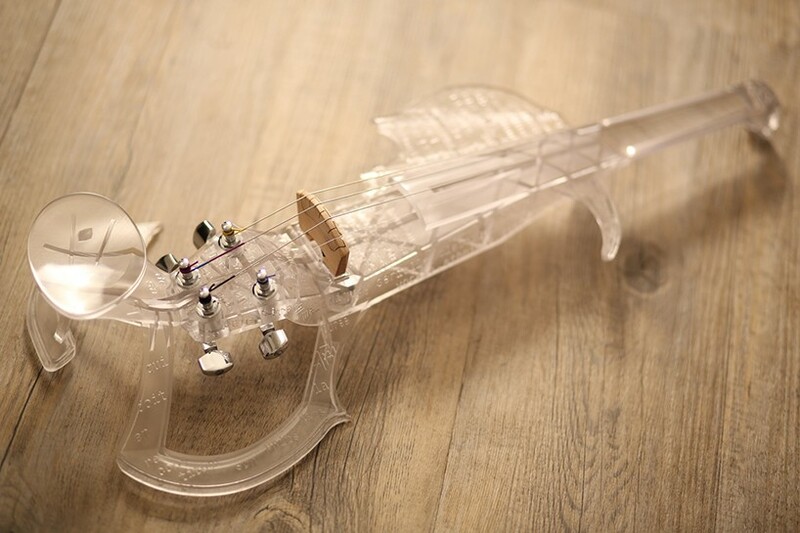 The idea for this 3D-printed violin came to be in 2012. Its first prototype was created in polycarbonate in 2013; however, it was too heavy and difficult to play. So, the 3Dvarius team put their heads together and created the second and current prototype. 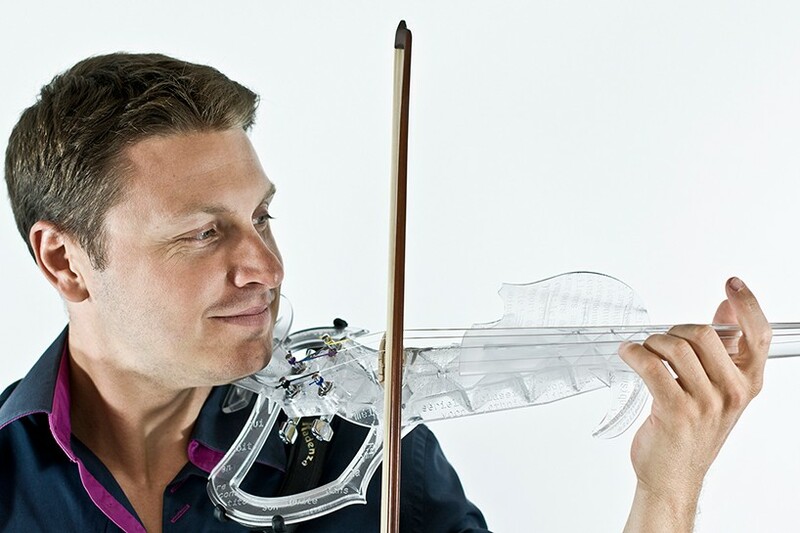 If the 3D-printed violin is a hit with violinists, 3Dvarius will consider a commercial release. Until then, we’ll enjoy the sound of innovation!